Best Small Fridges for 2019 - Which? Our pick of the best small fridges from all our reviews. 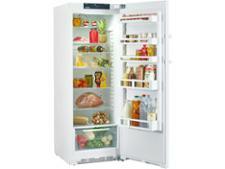 The best small fridges keep your food consistently chilled to a safe temperature so it stays fresher for longer. The worst models will leave you with lukewarm milk and spoiled vegetables. We’ve tested hundreds of fridges, so we know the those that will make a great addition to your kitchen and the ones that won’t. When you're short on space, you want your small fridge to give you the maximum usable volume so you can get the most out of the space inside it. Manufacturers quote a fridge volume, but we test this and often find the numbers we discover vary (sometimes quite dramatically) from those on the label. We quote all the real usable volumes in our fridge reviews. You can find our pick of the best small fridges in the table below. This fridge didn't do poorly in any of our tough tests, so it's clearly a good all-rounder. As a result, it's earned our Best Buy seal of approval. 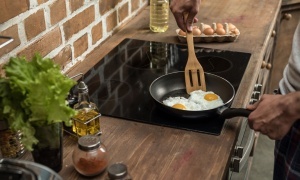 It’s quiet, easy to use, energy efficient and keeps to a steady temperature. In fact, we couldn’t find anything bad to say about this model. This fridge did well in most of our tests and, most importantly, it chills quickly and efficiently. 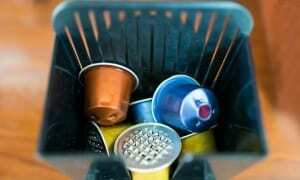 Although expensive, it's quiet to use and its temperature isn’t affected by the cold weather. This fridge won't take long to set up when it arrives and won't lose its cool on a hot summer day: it will stay perfectly chilled inside even if your kitchen gets really hot and sticky. It comes with an ice box and it chills quickly, but it isn’t the cheapest to run for its size. 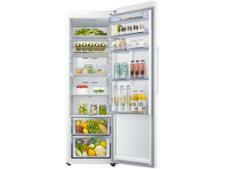 This fridge is fantastic at cooling quickly and at keeping chilled in fluctuating room temperatures. It's expensive to run for its size, but its storage is very generous for a smaller model. Don't pick up a fridge from a fault-prone brand. Buy one you can rely on with our pick of the most most reliable fridge brands. Watch our video to see what happens in a fire. Our rigorous, independent testing means we can confidently separate the good from the bad. We check how well the fridge chills, using gel packs to simulate food and recording the time it takes for each fridge to cool the packs down. Doing so, we can find the fridges that sufficiently start chilling your food the moment you close the door. Our experts also assess the thermostat. 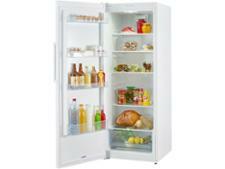 Our top-scoring fridges will exactly reach the desired temperature and then stay at that temperature. But we find some thermostats controls are way off the mark, meaning your food could go off before its use-by date. Noise levels, ease of use and how simple it is to clean are also taken into consideration when we give our overall score. First decide whether you want a freestanding or an integrated model. This might depend on the space you have or your kitchen's layout. Freestanding fridges are typically cheaper and there are a wider range of options. 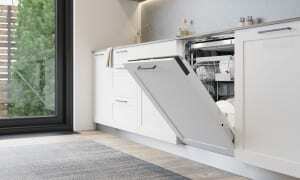 However, integrated fridges are hidden and tend to run more quietly. If you don’t have a freezer, then a fridge with an ice box compartment can be useful. Manufacturers measure a fridge's volume with all the shelves, drawers and door racks taken out. When we test fridges, we leave everything in place and measure the space you can actually use for storing food. Make sure you check the capacity sizes in our reviews, so you can be sure they will be enough room for your weekly shop. Check the fridge you want has the correct climate class for your needs. For instance, fridges that you plan to store in a colder location, such as a larder or conservatory, will need to be able to work properly in temperatures below 16 degrees. Quick-chill functions, ice dispensers and bottle racks are all extras that are available with certain models – and not always at a cost. Some may also have humidity controls, which can help lock in moisture to keep some vegetables fresher for longer. Others have adjustable shelves and door racks that are helpful if you need to fit larger items in the fridge. 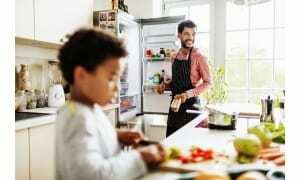 Your fridge is turned on all day, working hard to keep your food fresh. But how much is it costing you? Use our handy calculator to find out the real cost of your fridge over the years and find out the most energy efficient fridges.